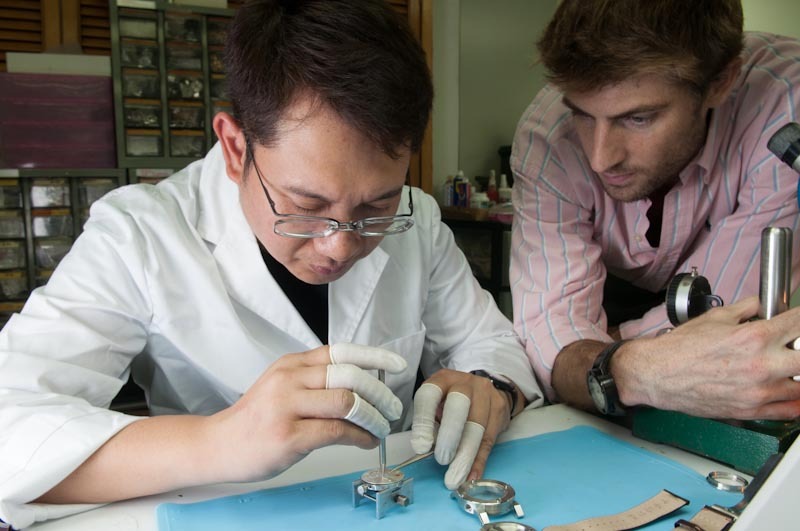 Adrien Choux at work with his watchmaker who is also based in Hong Kong. 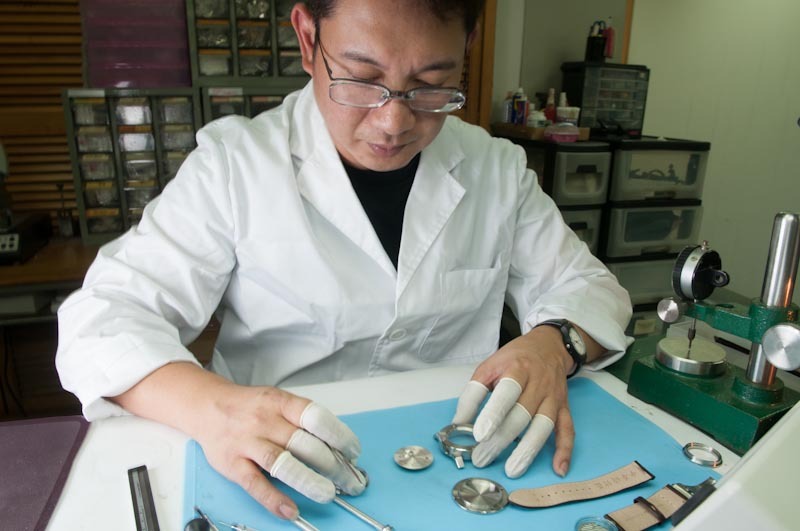 The Chinese Timekeeper watchmaker at work. 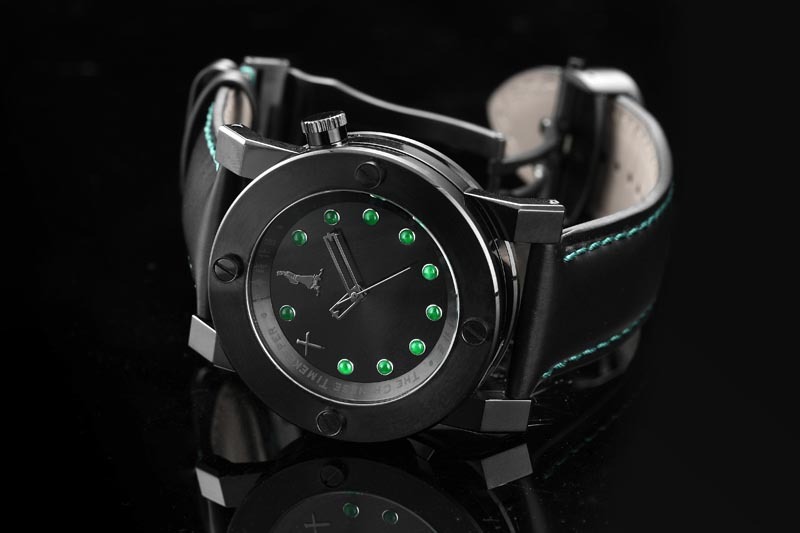 The black CTK-13 is the first watch to have jade, an ornamental stone, on its dial. 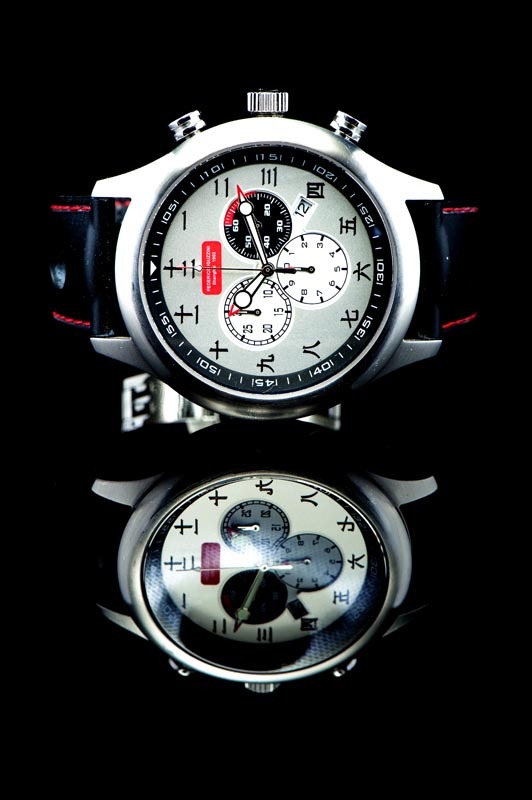 The CTK-15 shows the time just like it used to be in China before the 16th century. 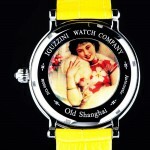 China – and the world – have changed since we launched Nicely Made in China. 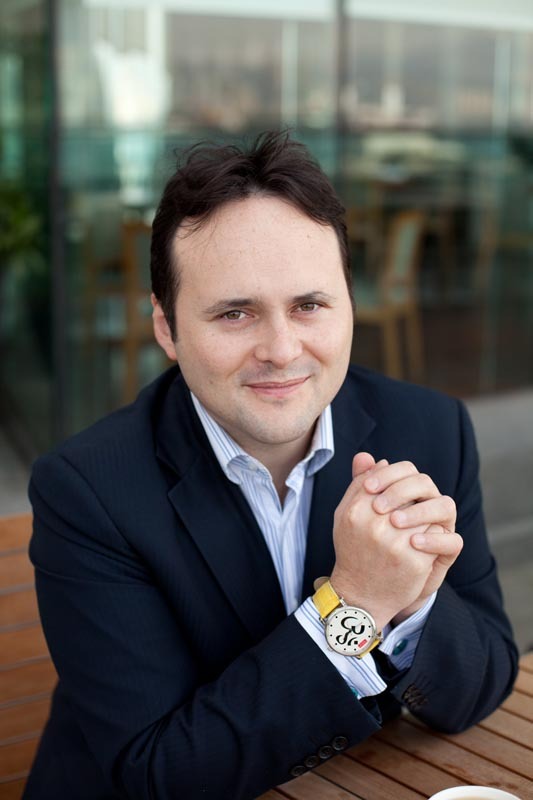 That is why we feel the need to look back and see how the companies and people we’ve featured during those 2 1/2 years have fared. 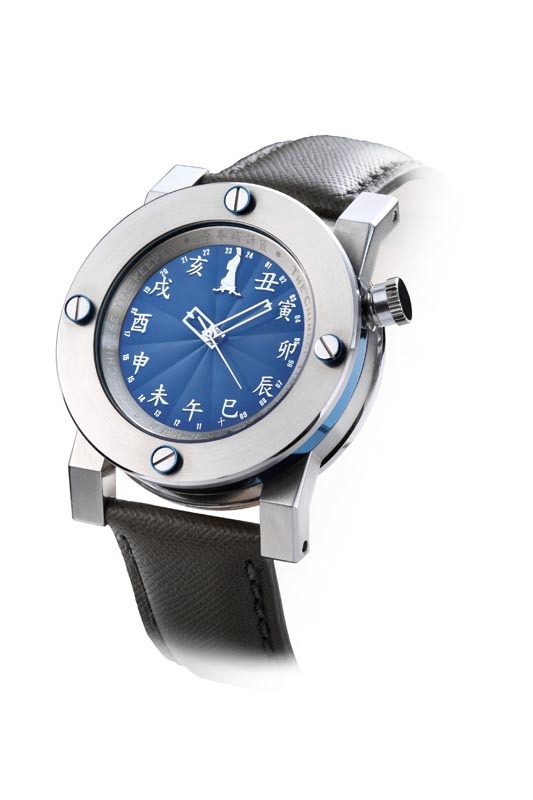 We start this series of updates called What’s New with the Hong Kong-based watchmaker The Chinese Timekeeper (CTK). 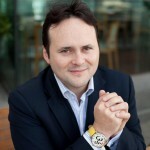 We met the owner Adrien Choux recently to discover what’s new for his company. 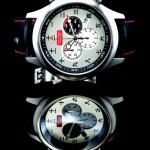 The Lunar Explorer Chronograph from Iguzzini Watches retails for US$ 4,200 and is limited to 50 pieces. The Old Shanghai caseback. 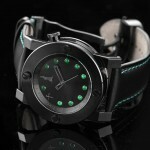 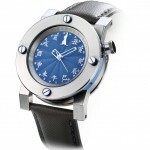 The watch retails for US$ 3,500 and is limited to 50 pieces.